Family medicine clinics are managed by two complementary organizations: UW Department of Family Medicine and Community Health (UW DFMCH) and UW Health. 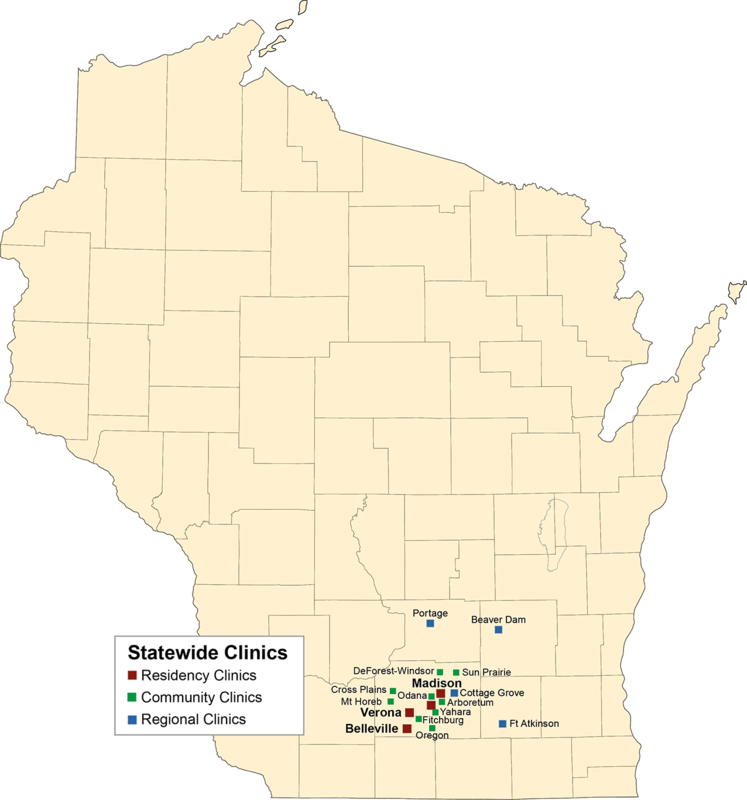 Four of the 17 family medicine clinics are owned and operated by the UW DFMCH. Besides providing comprehensive family medicine care, these clinics also serve as training sites for the UW DFMCH’s residency programs. At UW DFMCH clinics, faculty not only care for patients, but also teach residents and oversee research projects. All residents establish continuity practices at these clinics, and care for their own patients throughout the three years of their training. Thirteen of the 17 family medicine clinics are owned and operated by the UW Health. UW Health clinics also provide comprehensive patient care, but do not serve as resident teaching sites. However, medical students rotate through these clinics during their Phase 2 Chronic and Preventative Care block. The UW-DFMCH’s Clinical Care Committee unifies faculty that practice in both sets of clinics. This committee, which consists of medical directors and clinic managers, reports to the UW DFMCH’s Executive Council.